Ultimate fashionista, Rita Ora is currently in Sophie’s Closet’s hometown of Dubai for the launch of Chanel's ‘The Little Black Jacket Exhibition’. The British singer-songwriter has also been spending her visit posing for an ever-so-glamorous photohsoot for Harper's Bazaar Arabia. We were pleased to see that Miss Ora wasted no time in getting her fashion fix from us, as you’ll see from her instagram photo there’s one of our gorgeous Sophie’s Closet shopping bags placed on the bed right behind her. This lady sure has good taste! 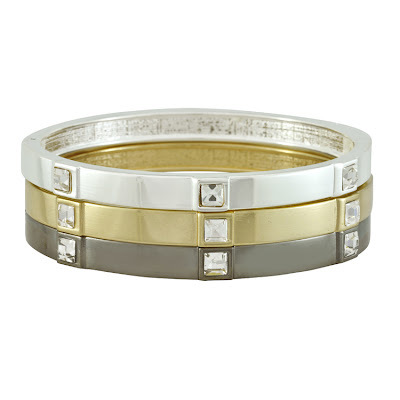 This Lisa Freede Gold Triple Crystal Wrap features a 14K gold plated bracelet wrap design, hand set with shimmering Swarovski crystals. It’s adjustable to fit all wrists, and has also been seen adorning the wrist of style-setters Katy Perry and Kim Kardashian. This simply chic necklace is delectable just like the one Rita wears in her sassy shoot. 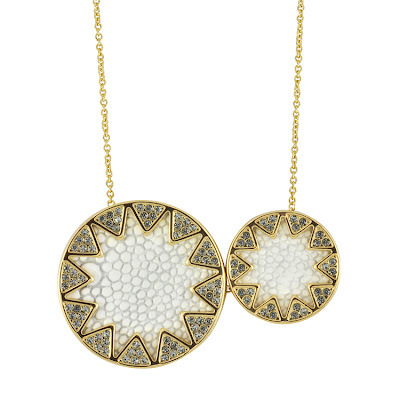 Our House of Harlow 1960 White Sting Ray Leather Sunburst Pave Necklace comprises two black leather inlay sunburst charms pavéd with crystals, set on a 14K gold plated chain. 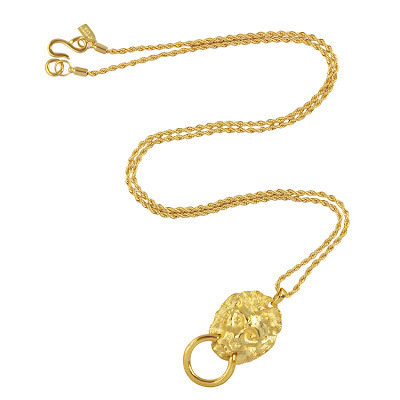 Alternatively this Miriam Haskell Three Flower Necklace will help you steal her style. 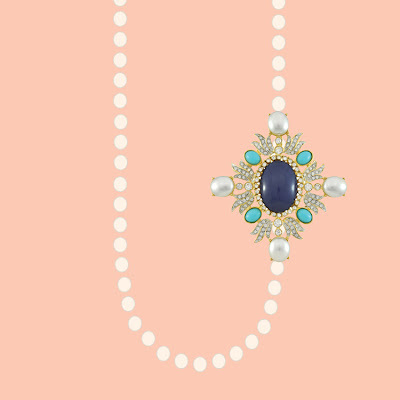 Inspired by vintage Miriam Haskell designs, with Russian gold plated floral filigrees and hand-wired with glass pearls - this necklace is perfect for day-to-day and special occasions too. Rita opts for a simple gold band for her hands, so get the look with our LeiVanKash Gold Dagger Midi/Pinky Ring. 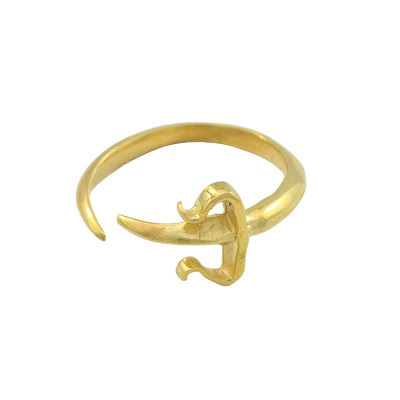 This dagger ring is handcrafted in London and effortlessly oozes coolness and cuteness! 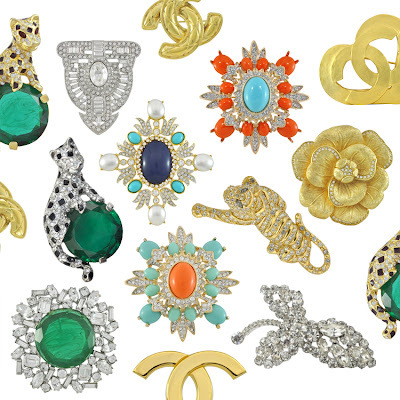 For a classic look that never dates; attach your brooch to a blazer, top or dress. Try buttoning a shirt and pin the brooch between the collars instead of wearing a heavy statement necklace. A special brooch can transform a simple outfit into a unique one. 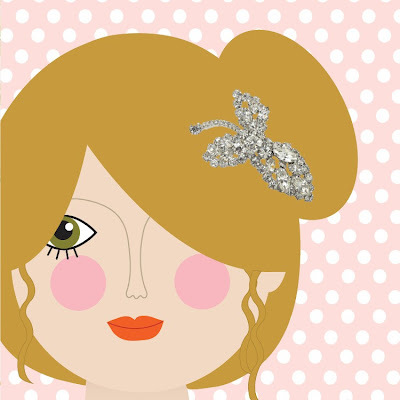 Try using a brooch as a hairpin, for a chic look tuck the brooch into a loose updo. To transform your hair from ‘everyday’ to something special, simply pin a brooch to a ribbon or headband and wear as usual. 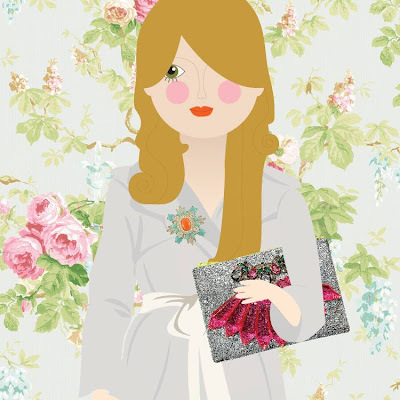 Or even try pinning your brooch to the side of your head scarf to add some sparkle. 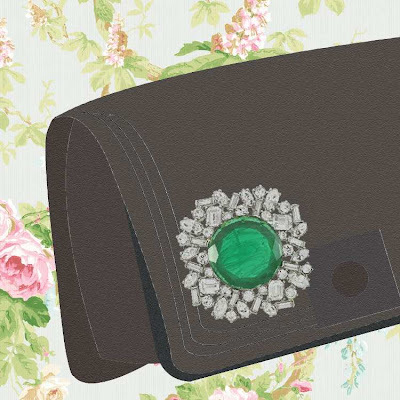 Pin your brooch to a large handbag or clutch; the result will be a beautiful evening handbag. To achieve a new brooch style for everyday, pin your brooch to a favorite necklace or bracelet and co-ordinate to your look. Get top-to-toe glamorous in the new need-it-now gold tones. Gorgeous gold is the colour of the moment, so ensure you adorn yourself in this glitzy hue. Sophie’s Closet not only has a multitude of true vintage timeless treasures for everyday elegance, such as these Yves Saint Lauren clip on branded studs, this Rachel Zoe Love Me Knot Collar Necklace will make a dramatic statement for after-dark dressing. Being 14k gold plated and adorned with Swarovski crystals, it’s hard to refuse! The glam gold jewelry trend also took to the red carpet last week, with style icons and celebrity fashionistas hitting the MTV Awards showcasing their finest gold accessories. The ever-chic American actress, Kerry Washington, enhanced her attire with a simple and sophisticated pair of pretty gold studs. 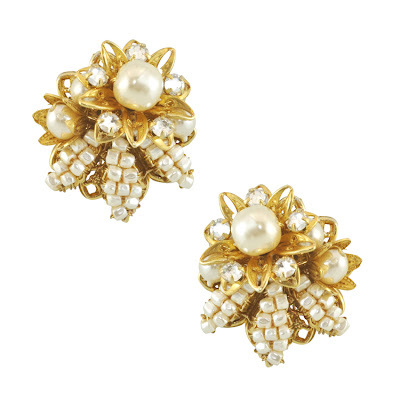 Get the look for yourself with these sweet clip-on Miriam Haskell Pearl Flower Cluster Earrings. An ideal day-to-dark, desk-to-dancefloor anytime option! Beautiful Bella Thorne always knows how to perfect a polished look as she opted for an arm stacked with gold bangles. Steal her style with our mixed Sequin Square Crystal Bangle Set or layer up different bracelets such as this Lisa Freede Gold Triple Crystal Wrap, as also previously worn by Katy Perry and Kim Kardashian. Holland Roden chose to walk the red carpet wearing a statement black and gold solid ring. 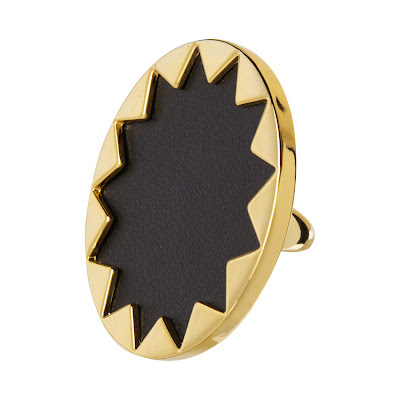 Offering a contemporary and classy touch, it’s an easy to achieve look with this House of Harlow 1960 Black Leather Starburst Cocktail Ring. The celebrities have been making shapes with statement jewelry such as geometric gold triangle earrings, a la Sammi Giancola. 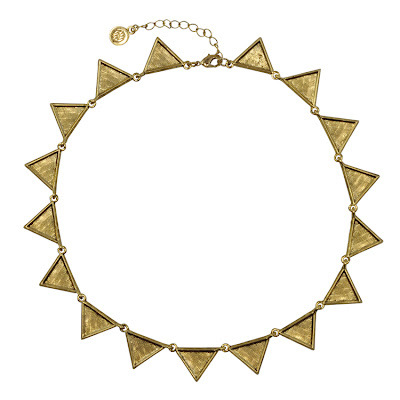 Add an edgy accent to your outfits with this triangular gold 1960 House of Harlow Collar Necklace. And it wasn’t just the shimmering gold dress Selena Gomez was wearing that stole the spotlight, as Gilmore Girls actress Melissa McCarthy piled on the prettiness with a multitude of long gold chain necklaces. Sophie’s Closet has a superior selection of classic and chic chains, in a variety of lengths and styles to suit your every mood. You simply must take a closer look at these irresistibly elegant, one-of-a-kind vintage Chanel Mademoiselle Coco Pearl Earrings. They’re the ultimate investment for any girl who appreciates vintage, timeless style. Own these and you’ll be the envy of all your fashionable friends!